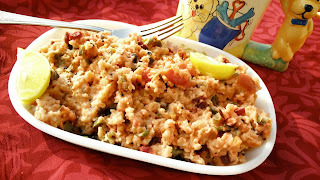 Vegetable oats upma is a fiber rich breakfast recipe which can be prepared in minutes and is damm healthy. Vegetable oats upma is quite filling as it keeps you satiated for long time. Heat 1 tsp oil in a Kadai, splutter cumin seeds, curry leaves. Sauté vegetables, tomatoes. Add oats and mix well. Add 3 cups or double the quantity of water. Cook for 10 min till water evaporates. Once ready, add lemon juice and serve hot for breakfast.